A DWI can be traumatic, embarrassing and result in serious consequences. 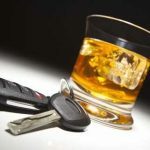 In New York, driving while intoxicated (DWI) is a criminal offense and, if you are convicted, can result in a criminal record, suspension of your license, fines and often jail time or probation. Dedicated Buffalo DWI attorney Arthur L. Pressman is an experienced DWI lawyer providing aggressive criminal defense throughout Buffalo, Amherst, Cheektowaga, Tonawanda, and all of Western New York. With more than 30 years of experience, Buffalo DWI attorney Arthur Pressman has handled more than 40,000 cases and has built respect with prosecutors and judges. Contact a knowledgeable Buffalo DWI Attorney to defend you. We provide personal attention to every client and ensure aggressive representation by an experienced Buffalo criminal defense attorney to resolve your case quickly. If you or a family member needs a DWI attorney who is familiar with New York state criminal law, contact Buffalo DWI Attorney Arthur L. Pressman at (716) 984-1795 or online. For your convenience, our office is on the subway line, and we offer a free initial phone consultation seven days a week.